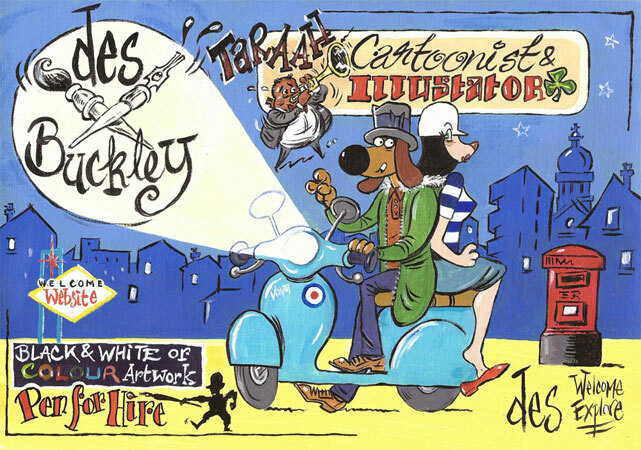 Welcome to the Website of Des Buckley, Cartoonist! I'm an experienced, adaptable editorial cartoonist & illustrator. Delighted to take on Private commissions or collaborate on cartoon strips or ideas. Please feel able to contact me with any enquiries via the Contact Page Email & I'll get back to you by return.